Campsites are listed in chronological order North to South. Lat/Long is typically taken from the campsite, not the entrance. To access electricity we had 75 feet of cord at our disposal. We are driving a pop-up truck camper with a 3-way fridge. When we’re in town we like to meet up with other overlanders and thus pick popular spots where we can plug-in. When we’re countryside, we like to be well hidden from the road and love a mountain setting or sunset over the plains. You won’t find gas station camping or urban boondocking on this list. We try and list all available services. If we don’t list wifi or electricity in the description, it wasn’t there when we visited. Between Popayan and Pasto were lush green rolling hills at high altitude. A beautiful and relatively unexplored area by overlanders. We spotted a few signs offering camping along the PanAm, but feel the area offers great potential and ample camping spots to anybody looking to do some exploration. Mapping: Note that the OSM GPS map is not good for Peru. Perut is what you need. 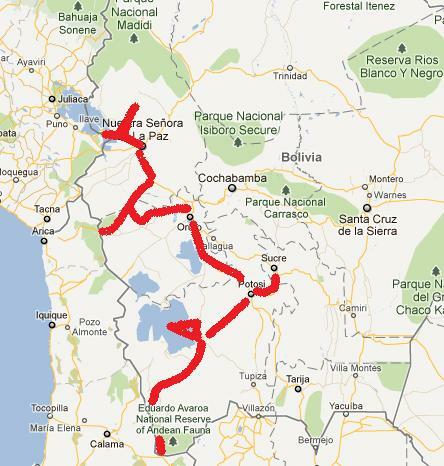 See our Overland guide to Bolivia’s Southwestern Circuit for much more info such as additional campsites, propane plant, gas stations, bathrooms, ticket control, etc. Past San Cristobel you will be on the sparsely-populated altiplano. You can camp anywhere in this area, but there is little to no cover from the road. Much better place to camp as there are numerous large boulders to block the wind and view from the road. Several great places to turn off and camp several miles before and after the given coordinates. The first flamingo lake you will come across. No facilities, just flamingos and snow capped peaks. 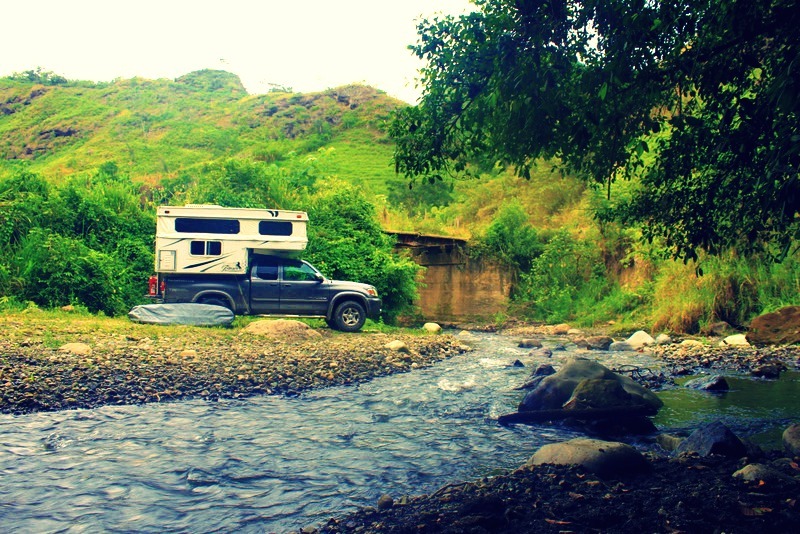 Great spots to camp out can be found all around Lagunas Chulluncani, Hedionda, Chiar Kkota, and Honda. After these lakes you will pass through a beautiful altiplano with 360 degree views of snow capped mountains. Camping here also great but a little higher in elevation compared to the lakes. Campsite overlooking the red lagoon. Nice spot but an even better spot may be before the registration and check point: S22 09.885 W67 47.915. Camping here buys you an extra day in the park. Excellent spot next to 29C hot springs. The geography gives you a bit of a break from the wind. The hot springs are crowded during breakfast and lunch time but wait an hour and you will have them to enjoy in solitude. Hot springs are free to use, bathrooms cost B/3, there are trash cans and snacks for sale across the road. Overlooking the lake and famous Volcan Licancabur (5960m). If the wind is low this would be a better spot overlooking the lake: S22 47.180 W67 49.051. The guidebook suggests you can find a guide “hanging around Laguna Verde” if you’d like to climb Licancabur. We sure didn’t see anybody hanging around. Arrange in advance or from San Pedro if you plan to climb anything. For GPS maps of Chile and Argentina Proyetcto Mapear v9.40 is boss. But ConoSur GeoRed is best for Chilean Patagonia. Like most overlanders we crossed between Chile and Argentina a few times while winding our way down to Ushuaia. We’ve combined the two country for the purposes of this campsite listing. The campsites below are in chronological order. Additionally you will be shocked by the camping options in these two countries. Nearly every town has a campsite and the destination towns often have multiple camping options. Many other campsite lists just include bush camps or favorite camps for this reason. We have included each we visited and evaluated them. Quick index for Argentina and Chile campsites. We evaluate them based on their amenities, price, and quality on a 0-5 rating scale. Hint: This is a great way to keep track of campsites on your GPS because of the character limit. 3rd number: Campsite Quality. Evaluating qualities such as the campground condition, cleanliness, size of the campsites, scenic views, location, etc. Easy border crossing but they searched the camper and took most food products they found. Beautiful treed riverbed for bush camping and popular as we saw others bush camping too. These coordinates are only for one rocky road that will take you down to the river. Pick any road in 10 mile zone north of town. Not much to look at when the pool’s drained (9 months out of the year). But it is cheap and the only camping option in Salta. There is a Chango Mas (big box grocery) just across the river. There is wifi and tables at the Refinor gas station on Av. Paraguay. The 3B bus will take you from the campground to the square (A/1.75 per person, change only). We purchased a propane adaptor here for use in Argentina. You will need to take them your tank so they can fit an adaptor to it. We weren’t sure if we needed an adaptor to fill our propane tank in Chile and Argentina but we went ahead and got it anyway for AR$20. This store also sells the necessary reflective stickers for campers/RVs. We were told we only needed a speed sticker (110 since we are a camioneta, other campers different) and red tape on the back. Longer rigs will need white or yellow on their sides. The only plant in town that sells propane and not butane according to the gas adapter shop salesmen. Though you’d probably be fine with butane (see other gps listing above). You’ll need the adapter here. Also note that butane is often referred to as propano throughout Latin America. Routing: between Cachi and Cafayate is stunning desert scenery with eroded sandstone Quebradas. Beautiful drive with ample bush camping opportunities. There are 6 campgrounds in town! This was the only one with campers when we pulled in. Good potable water (for the first time since the US). Just before Quilmes ruins entrance. Nice spot for the desert lovers, a dry 95 degrees when we pulled in. Stopped for lunch, didn’t stay the night. We were told AR$10 per night, but we are unsure of the actual cost as nobody came by to collect in the two nights we stayed! Great facilities (except for the bathrooms), well outside of town. Channeled river system runs throughout the campground. Our guard was too hangover to give a care. We showed him a bag of food and he just waved us on. We passed by 3 other campgrounds on this dirt road out of town but this was the only one being tended to. This area would make for fine bush camping along the river further down the road but we wanted a hot shower (wood fired!). The bandwidth on the wifi was great but the connection was off and on (mostly off). The friendly owner said the satellites were often down. Recurring theme here; I had wrongly expected Argentina to have internet and hot water figured out. According to our tourist map there are 2 other campsites west of town and just as close to the town square. 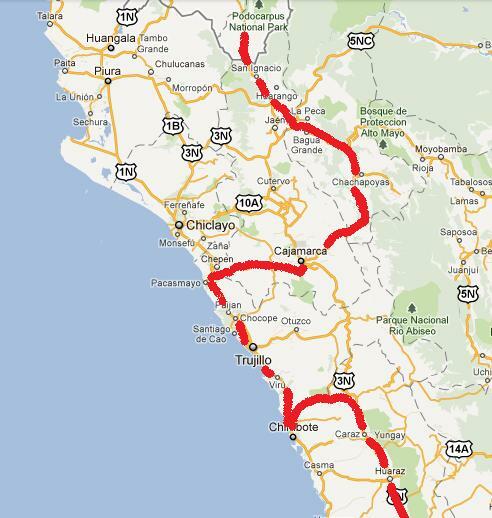 Routing: The drive from La Cumbre to Jesus Maria is a recommended drive through the central sierras. Too far from centro to be convenient too close to town to be tranquillo. GPS is taken from the only electrical point in the campground. The guard will call for a taxi if you ask ($AR50 to centro). Real camping (dispersed in the wilderness) at this beautiful and tranquillo spot between Cordoba and Mendoza. Each stop we have put a bag of all of our fruits and veggies up front. This has effectively prevented them from searching our car or camper. So far they have only taken fruit. 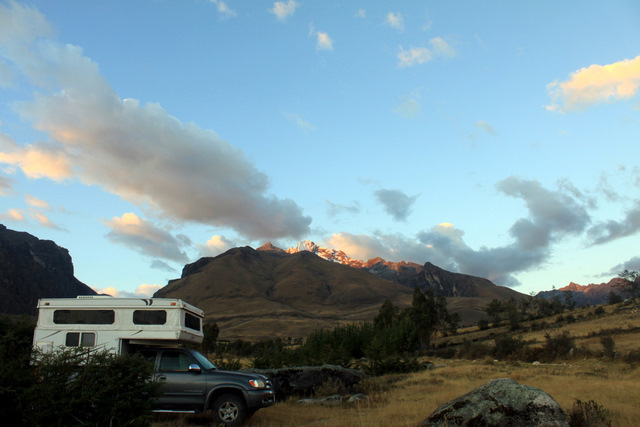 Aconcagua National Park – would not let us camp in their parking lot. After some back and forth they said we might be able to but needed to be fully self contained including bathrooms onboard. All tent camping in the park must be reserved ahead of time. Bummer. This looked the best of the 4 campgrounds around town. It’s close to the center of town but still quiet. Wood-fired hot water. Hostel Uspallata 5km east had wifi, a café, and was close to good hiking trails but wouldn’t allow us to camp. With some smooth talking you can probably camp and this would be a better spot. We planned on bush camping near the river but were surprised to find no less than a thousand Argentines crawling all over the muddy banks! We later found out it was a holiday. We’re finding friendly people on this side of the country. North of Rosario and next to the river. Typical Argentine muni camping with a pool and friendly staff. It would be worth asking if you could camp next to the riverside. No plug-ins or showers on this side of the park but it’s quiet and breezy with a nice view of the river and city. Nice campground, great park with hiking trails, ruins and good animal watching but way too much dinero. Easy border crossing, you won‘t even need to leave your vehicle as it‘s a drive-thru with both Uruguay and Argentina border agents in the same booth! AR$25 toll to cross the international bridge. Food products from ARG are not allowed in Uruguay but we were neither asked or searched. The biggest campground we’ve laid eyes on with separate areas for youth and students. Get the broadband wifi password from the small Super Dumbo grocery store for UR$150. Great spot to whittle away a few days. Routing: The highways in the Entre Rios province are notorious for numerous police checkpoints and corruption, especially route 14. We had zero trouble but were stopped a few times and asked to show our papers, safety triangles and fire extinguisher. Don’t sweat it, just keep headlights on at all times and obey the speed limit. Nice riverside campground with plenty of shade. There’s a dock for fishing and/or sundowners. It is run by two friendly retired folks who get a lot of international overlanders. Only downside is the water which has salt and sediment and no hot water. The (wifi) internet connection is temperamental but the bandwidth is good. The grounds are far removed from everything but you can taxi to downtown Tigre (AR$30) and take the 50 minute commuter train to Buenos Aires for AR$1.35. 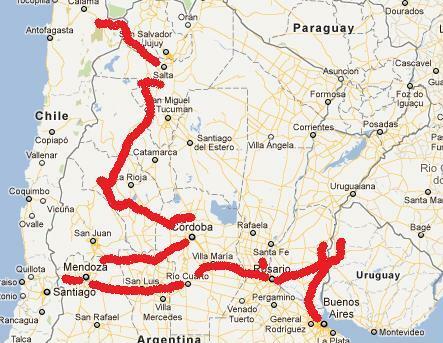 Routing: From Buenos Aires we are headed down the east-coast down RN3 to Tierra del Fuego and Ushuaia. For specific information on our route please see our Google Map Route. We accidentally camped next door at Camping Banco Provincia. After setting up camp we spotted Camp Pinar further down the road which looked nicer and appeared to have wifi. The oddly named Banco Provincia is really just for Argentine “camping” (afternoon BBQs). Coordinates are for Camp Pinar. There also appear to be some bush camping opportunities further down the road. We looked at 4 different campgrounds in town and this one was the cheapest and least crowded (on a holiday weekend) . Conveniently located 5 blocks from the beach with decent wifi near the admin building. The Italian owners are friendly and talkative (good opportunity to practice your Argentine Spanish). We came here for the surf which was billed as the best Argentina has to offer and in 4 days it never reached above our ankles. Anywhere around here is excellent. You can drive on the beach and if the wind picks up there is a eucalypts forest just off the shore for shelter and firewood! Easily the most expensive campsite we’ve stayed at (outside of the US) but this place had it all. Campground size easily accommodates thousands and must employ every high school kid in the province. There are scheduled activities, a pool, bar, restaurant, grocery store, and when you check in a staff member takes you to look at different campsites based on your preferences. We had heard there was cheaper camping and even good bush camping further down in Pehuen Co, but curiosity landed us here for a few days. The usual municipal camping affair with the added upside that the staff rarely collects camping fees. All along this southern coast seems to be great bush camping but our low propane level kept us from exploring its full potential. We were thrilled to find this plant at random. It is an easy process here and they even asked us if we wanted propane or butane. We filled up at 2:00 so they must not take a siesta. We gave them our adaptor but we’re not sure if they used it. They are mainly looking for fruit here but also beef products (chicken and pork are okay). Patagonia is a fruit fly free region. They search the vehicle with dogs and fumigate for a fee of AR$12. You can ask for a checkpoint map which lists the checkpoints in Southern Argentina and restricted food products. The 3 RN3 checkpoints south of here are meat only (not concerned with fruit). This checkpoint and the meat checkpoints listed below apply to south or westbound traffic only. Only looking for beef products here and fruits they may have missed at the previous checkpoint. Chicken and pork are okay. El Condor prepaid wifi cards can be purchased at the Bus Terminal or Autoservicio in 2-8 hour increments. The cafe on the corner also offers wifi. There are 4 other campgrounds in town but all seem pretty much the same, this is the cheapest option. Proximity to a nightclub makes it not the best choice for weekends… or if you can’t beat ‘em, join ‘em. Routing: Take a break from RN3 and head down RP1 along the undisturbed coast. Plenty of places to bush camp here. There’s a break in the cliffs here where you can camp along the shore. The conditions were just right and we were able to surf right in front of camp. The few places with wind protection or shade were being occupied by the locals. It was a restless night despite the tranquil setting; at midnight it was still 92 degrees (1/7/2012)! From this point south, gas and diesel are subsidized (about a 25% discount). US$3.61 per gallon (grade: super, 87ish octane; January 2012) at YPF which is always cheaper than the other stations. We were not stopped, appears to be for trucks only. Great place to watch the whales in season. This area is a good spot for bush camping as some wind cover can be found. No facilities but a few trash cans. If you want facilities there is a muni camp in Puerto Piramides (S42 34.420 W64 16.747). We didn’t check it out but it is probably better than the ACA campground listed below. Cramped stalls without tables or grills, limited shade, a dusty windy lot, only some sites have elec, and 10 showers (open only for posted hours) for a campground that can take on 800. There is wifi only near the admin building but no tables or outlets in the vicinity to make use of it. We stayed the night here because we wanted a shower and ended up using our solar shower anyway. There is a propane place in town that will fill US tanks called Oxigenco Patagonia. At this latitude the wind starts blowing earnestly and consistently from the west/southwest. Finding a wind-block was necessary with our popup and this place had it right off RN3. If you plan to stop in this area, go to Rada Tilly (below) instead, same price, better stuff. AR$15 per person, AR$20 per vehicle. Like most Argentine campgrounds the vehicle charge is only a one time charge. Probably the best cared for municipal campsite in this part of Argentina. There is good wifi near the admin building that extends to a few campsites. The only downside are the showers and bathrooms which are too few and closed for the majority of the day. There are water restrictions in this part of the country. 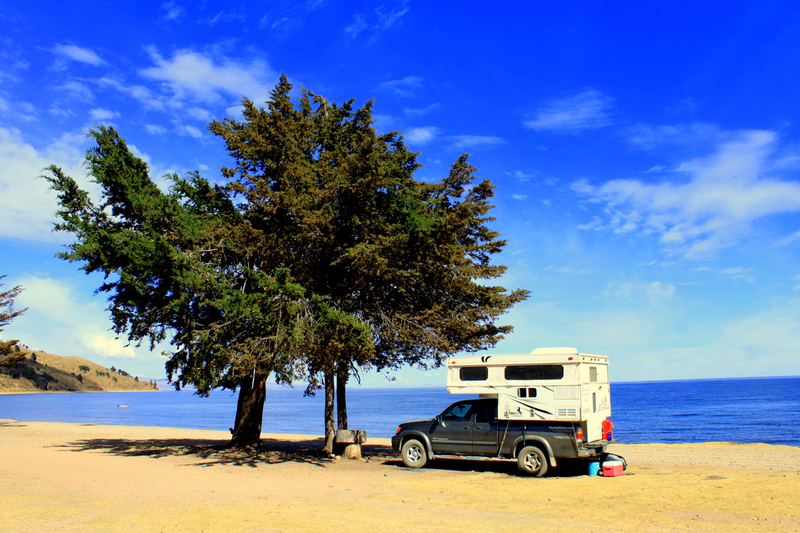 Other camping opportunities: The coastline from Rada Tilly to Caleta Olivia is gorgeous. There are countless opportunities to bush camp right off RN3. We spotted many others camping here and regretted having to pass it up. Entrance is free but bush camping is no longer allowed in the park. The campground is breathtaking but the fee is heavy for the lack of amenities. The entrance gate says you must register down the road but you can register and pay for camping at the campground. There is a beautiful tea room you‘re free to use and “bloody good” English is spoken. This was easily our favorite spot on RN3. Well we finally did it. To compliment our long haul driving days down RN3 we stayed with the truckers behind a gas station. Free bathroom and showers (+wifi in the sitting area), but Alabama cassette tapes, belt buckles, and trucker hats should be self furnished. This YPF also had the 5W-30 synthetic engine oil we had been seeking. We found a place that would give us liability insurance for a two month period for only AR$300. The agent was represented by Mapfre and Liberty. Be sure to ask for “seguro de responsibilidades” (liability only insurance). We also found out ACA does not insure nor provide liability insurance for foreigners or foreign plated vehicles. The ferry crossing was $US33 and payable in Argentine or Chilean pesos. Simply wait in queue, drive onto the boat and pay on board. The San Sebastian border crossing out of Chile and into Argentina was easy with little wait time. Technically food products are not allowed into Argentina but we were not searched. Outstanding spot overlooking a meadow and Rio Ewan which is a public fishing river. The area has some tree cover but sadly there is trash scattered about. Great campground set on the scenic shores of Lago Fagnano. Slow wifi from the neighboring cabanas business available in the fogon/cabin. Many sites have windbreaks and the RV sites are on the shoreline. You can also bush camp along the lake shores further down the road if you don’t need services. Nestled in a beautiful mountain setting 3km NW of town this camping area was formerly a ski resort. They have slow wifi in the admin building/bar. Most of the camping stalls are small and this place gets packed during the high season. We met a family of Brazilians who had to buy a tent and camp here because there wasn’t a room available in town. Humorously, there was nothing we could say to convince them we had driven from California. They can fill US bottles without an adaptor. Gorgeous valley with much hiking and peak bagging to be had. There are a number of free campgrounds with toilets and fire pits throughout the park. They are marked on the park map. Free after forking over AR$85 per person for the park entry, of course. Looking at a map we figured this to be the furthest south one can drive. We were here on January 22nd, 2012 after 18,300 miles, one year, two weeks, and four days. Routing Note: from this point we head north through Torres del Paine, Route 40, the Carreterra Austral, and Argentina’s Lake District. For more specifics on routing please see our Google Map Route. Plenty of other great spots all along this road with pullouts and fire-rings. Easy crossing that only sees a few visitors per day. It is only open seasonally and a river must be forged to reach the Chilean immigration. Probably not passable in a car but 4×4 wasn’t needed when we crossed. Checking in and out was a cinch. On the Chile side they were looking only for uncooked fruits, vegetables and meats. There is a wide camping area overlooking Lago Blanco. Plenty of space and cover here. Scenic camp spot we found when looking for the end of the road in Chile, but never reached it. We got our hands on a good Tierra del Fuego map and it looks like there is a lot of exploring to do in this neck of the woods. Gas range would be your only problem as the last towns to fill up are Rio Grande or Porvenir. Email us if you get out there, we‘d love to see the pictures; according to one map you can get as far as Bahia Yendegala near the Cordilerra Darwin. We crossed the Magellan Straight via the Austral Broom Ferry service, Porvenier to Punta Arenas. Ferry leaves once daily except Mondays. The cost was US$102 which you can pay in Chilean or Argentine pesos. Here you pay at the terminal before boarding. Also the Copec in town was the most expensive we‘ve seen, US$6.40/gallon, cash only. The only ATM in Provenier did not work with our international debit cards (Visa Plus) and the bank will not exchange Argentine pesos. Scenic spot looking out over the strait. You can camp back in the trees or down by the shore. The only amenities are a trash bin and the only downside is the proximity to highway 9. We spent several relaxing nights here. Couldn’t be easier, no adaptor needed. Central. This hostel is the owner’s house which he lives in with his parents. There is normally room for one camper in the driveway but it is currently occupied by a broken-down Honda. The owner doesn’t seem to have any plans to move it but graciously let us shower for free. Expensive but central. Slow wifi in the admin building sitting room. 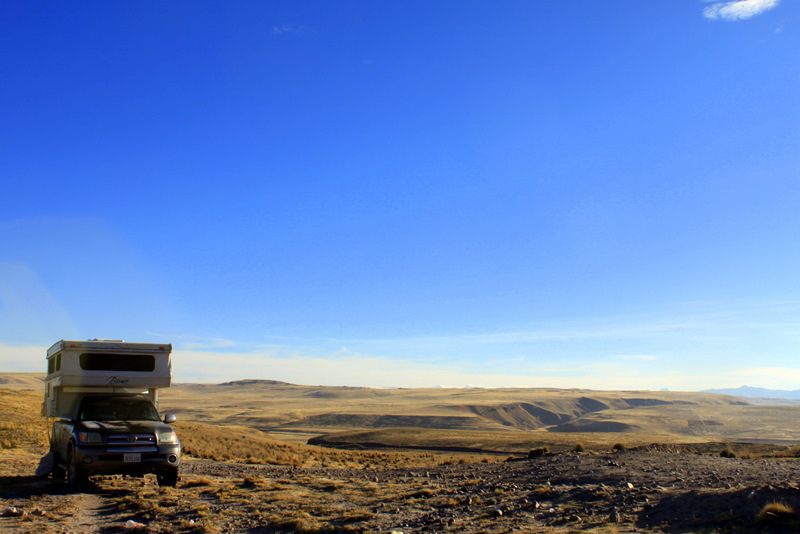 It is set up for tent campers but there is ample space for two overland rigs. Elec means plugging in only to run your lights, a hair dryer will blow the circuit. Camping with electrical hook-ups at the southernmost park entry. We didn’t stay. Not much to see but good wind cover. You can also camp in the nearby Hotel Grey parking lot and pick up their wifi signal. Recently remodeled and expensive. There are fire pits (with grills), picnic tables and wind shelters. But you’ve got to buy overpriced firewood from admin for your fire. Basically what you’re looking at here is an $18 hot shower with an outstanding view. Camp at the spots across the road for views that will make you forget about the price. Restaurant (parilla) on site. Torres trailhead parking. A more scenic bush camp opportunity with cover. Also a starting spot for hiking or backpacking. There is a formal campground nearby with showers and bathrooms. Free campground with hot showers and flush toilets(!?). To top it off the view is wonderful, looking out on the lake and towers in the distance. Not many other campers in this corner of the park. Fires were not allowed. One short uphill hiking trail takes you to a few viewpoints. Easy crossing at this small outpost. There was no search for foodstuffs crossing into Argentina. There are at least 3 campgrounds in the center and this one was the best deal. It’s an easy 10 minute walk to the center of town. As a nice bonus, the shower and bathroom block is heated. Decent wifi is only around the admin building. Camping El Ovejero down the street is AR$50 per person and their RV area is just a dirt parking lot further down the road. This is the biggest grocery store in town, which is just okay. You need to stock up here if you’re headed north. No facilities. Fires are allowed but you must bring wood from off site. We were the only ones here on a weekday. You can hike up Cerro Cristal south of the campground. The trail starts down the road. We stayed here in place of the Perito Moreno Glacier parking lot as we hear they no longer allow campers. Pay campground 2 miles down the road from the free area with elec and the usual amenities. We had heard it was a good campground, but we went for the budget camping. A beautiful Patagonian town but lacks a good overland camping spot. The free campgrounds “Campamento Confluencia” and “Camping Libre Madsen” no longer allow overnight campers. We looked at 3 private campgrounds in town, all were pretty much the same and exposed. Relincho was central, had electricity and a spacious common room. Other’s have stayed at the trailhead parking lot north of town, but it is even more exposed than the campsites. We ended up sleeping in our two person tent. At 4AM one tent pole snapped and ripped through our rain cover. Even if you think you’re wind-proof, you’ll sleep like a sailor on rough seas. 10 kilometers north of town lies this beautifully situated riverside campground. There is good wind protection as the campground is set in a tall old-growth forest. New fences and gates have gone up on this northern road in recent years. There were very few bush camping opportunities. There are two apartments above the Panaderia for rent. They were well equipped and cheaper than any double room in town. There is wifi but like all connections in El Chalten, it is very slow and temperamental. They have off street parking. Inquire at the Panaderia. Top off in El Calafate or Gobernador Gregores for cheap gas. If you’re not in an RTT or pop-up there are bush camping trout fishing opportunities galore at this undeveloped lake. This town is out of the way no matter where you‘re headed, but the most reliable source of gas (YPF station) in the area. When Tres Lagos and Bajo Caracoles actually have fuel, it is expensive. There is a La Anonima in town. This small campground looks abandoned but there is good wind cover. Like most of RN40 here it’s a rough 60km into town but is being paved. I believe RN40 will be rerouted through town when it’s finished. Routing: Many people suggested we cross over into Chile via Chile Chico on Lago Buenos Aires/General Carrera. The road to Cerro Castillo will rattle you to death but has fine views. We didn’t head south once we hit route 7 which goes through Cochrane to Villa O’Higgins. If we had more time we would have gone down to Cochrane which we hear is beautiful. Our guidebook describes this campground as “outstanding.” I wouldn’t go that far but it is an excellent value if you’re staying for more than one night. 24 hour hot water with grills and tables at each site. Slow wifi at the YPF in town. The same easy process as every other Argentina/Chile crossing accompanied by an extremely thorough search on the Chilean side. Every drawer was opened and every large bag or box was removed and put through their scanner. But, they only took fresh fruits, veggies, meat and oddly our popcorn. Not the crossing to try and sneak anything across. There are a few small supermarkets along the main street in Chile Chico. It is a tranquil parking lot for the towns small fishing dock on Lago General Carrera. There were a few people wondering around until after sunset. We got the spot from Nessie. No facilities. There are plenty of other scenic bush camping opportunities between here and the border. We also passed a few camping signs, one near town here, if you’re in the mood for plug-ins. Each campsite has a shelter, picnic table and firewood provided. The shower’s hot water is wood-fired. They fill US tanks here but had “una problema” and couldn’t fill our tank. We assumed they were just out of propane. We pulled into town midst some strikes and no fuel was available for a 5 day period. Abastible (orange) down the road will only fill their branded tanks. This is probably the best place to stock up on groceries before heading north. Shelters, lights, water, and plug-ins at each site. They have makeshift fire rings, but only charcoal allowed. Walk in and check out a site first; it is difficult to navigate with a camper. The water from the faucet was murky and contained sediment. Only 1 mile north of town. Café Ricer was the only place with decent wifi. We waited for 15 hours in line for gas after a 5 day shortage due to protests. The line was over a mile and a half long. According to the locals this is a common occurrence. At 11:00PM we vacated to the outskirts of town as the protest turned violent and were warned to leave. As we left town the next day the roadblocks and downed transistors were still smoldering. Chaotic crossing at this small post because of the mass exodus from Coyhaique once the roadblocks were cleared and the rationed gas distributed. There was no search for foodstuffs coming into Argentina. Routing: after only getting 6 gallons of gas we abandoned our planned route up the Carretera Austral and headed to RN 40 in Argentina. We’ve heard from others over the years that the Carretera Austral has proven tricky. However, anybody that makes it through the 1,200km gives it raving reviews. We’ll give it another go on a dual-sport in the coming years. Large open area by the river north of town. Some small trees for cover. The campground in town was long since closed. The YPF in town has slow wifi. Well maintained campground with grassy stalls and the only place around town for RV’s/car campers. They advertise wifi but have none. We enjoyed a sunny late February afternoon here. If you’re headed south, this is probably your last chance for sunshine and summer weather. Our Argentine adapter was needed. Previously our method of finding a propane filling opportunity involved circling the industrial area of town looking for a plant. It was always hit or miss. This time we asked at the tourism information office and they knew right away what we needed and were to send us. On our last propane fill we finally figured out the best search method. Entrance fee: AR$50 per person. Campsite free. This campsites overlooks Lago Futalaufquen and the mountains flanking it’s western shore. There are a few tables and fire-rings scattered about. There are 20 camping areas in the park both pay sites and free. Each of them appeared outstanding. The park is gorgeous and the weather agreeable. There are probably 15 campgrounds around town. This one takes the cake as it is a large organized campground behind a microbrewery and restaurant. The wifi extends to the campground but the bandwidth can barely handle voice-only skype. They brew 18 varieties on-site and each one we tried was superb. Routing: North of Bariloche, the route from Villa la Angostura to San Martin de Los Andes is called the seven lakes drive. The road is scenic and camping abundant. You’re only allowed to camp in designated spots but nearly all 7 lakes have nice free camping areas on their shore. Can get crowded during the day. Free camping area with a porti-potti and fire rings. Plenty of organized campsites along the southern shore here. If you go further west there are free sites. We were the only ones camping here on a weeknight (March 7th, 2012). We took a pleasant spot between a stream and the shore and had ourselves a campfire. Overnight low dipped under 40F; summer seems all but over. Beautiful spot on the shore. This is the end of the road for us. There’s an organized campground a few kms further down the road but their best spot is half as good as this free campsite.